THE Scottish Beef Association has warned many upland beef farmers could be "shafted" by the new CAP deal. 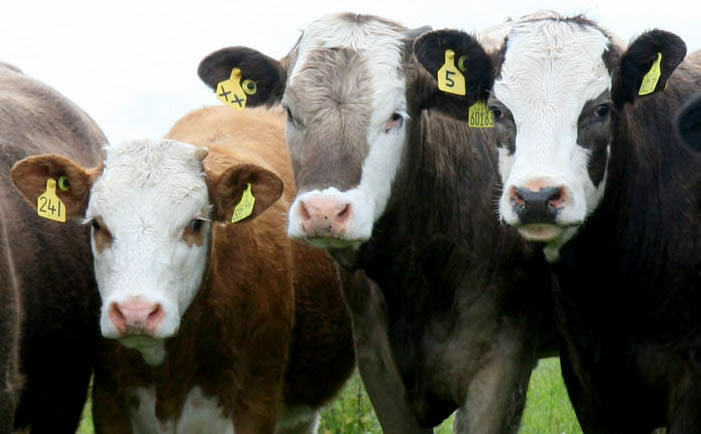 In a hard-hitting message the association insist many beef producers are set to lose as much as 50 per cent of their current Single Farm Payment once the reform kicks in. And they have called on beef producers to use the Scottish Government's ready reckoner to calculate exactly how they will be affected. Chairman Scott Henderson said: "I am hearing some scary reports from SBA members who are set to lose up to 50 per cent - €200 a cow- of their SFP in the new regime. "There must be hundreds of beef farmers out there who have both PGRS and RGR and many could be impacted by this. "These active farms are the backbone of the Scottish beef herd and it is vital we get a handle on the number of farms affected so we can take this to the Scottish Government. "I would strongly encourage any beef producer worried about what may be in store for them to contact the SBA through our web site. This will allow us to further build our case when in discussion with the Scottish Government." Mr Henderson added: "Before completing the online consultation it is essential that every respondent uses the ready reckoner to work out their new SFP as it will make a fundamental difference in how you fill in your response. "The majority of producers have the same or very similar businesses to what they had in 2004 so their present SFP is still relevant today. "On a similar budget should their payment not be similar?" The SBA say they favour a three-region split with payment rates of around €230 on arable and TGRS, €287 on PGRS and €22 on RGR. They reckon reduction coefficients should be used to ensure producers with RGR land get realistic payments while avoiding the risk of giving “slipper farmers” a platform on which to operate. - a siphon on all entitlement sales; cross compliance measures only being used once the EU has verified any penalty matrix, ie no retrospective penalties at either national or producer level; the use of all VCS on a flat rate for animals of at least 75 per cent beef genetics; full area payments being awarded to new entrants, not just young farmers; no support capping or the use of more than five per cent degressivity; the Irish Tunnel" method used on convergence. The link to the Scottish Government's direct payments consultation can be found here https://consult.scotland.gov.uk/cap-reform-and-crop-policy/cap-direct-payments/consultation.